This Audi TT was brought to us for rolling road checking after having been fitted with a full exhaust system. 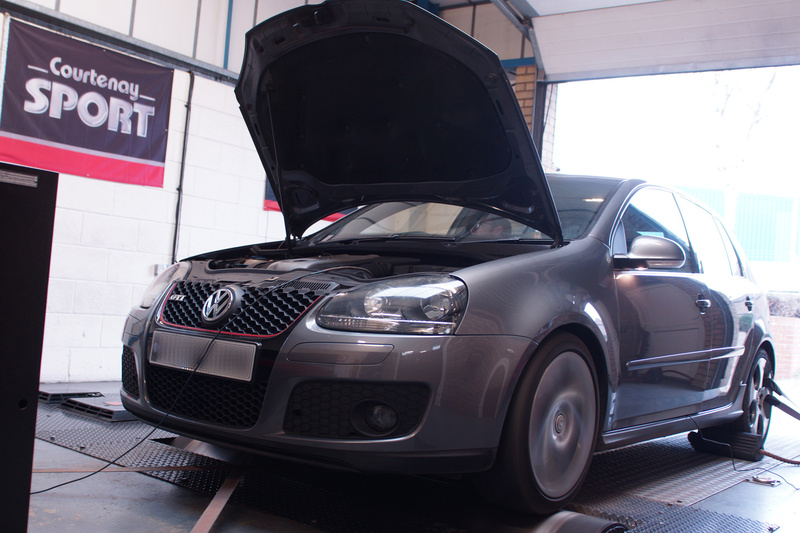 The car was previously runing a Stage 1 remap prior to the fitting of the exhaust and had been updated with a new piece of software from a hand-held flash tool and the customer wanted to see the results. After checking on the rolling road it became evident that further enhancements are required to the software due to the throttle closing at higher rpm. Astra J GTC VXR models, which have the Brembo 4 pot front calipers and 355mm brake discs now have available the choice of EBC Yellowstuff pads for front and rear. Available for the front at £128.40 per set, this is a slightly less expensive option for the cost conscious to the currently favoured Brembo Sport HP2000 pad which is receiving excellent reviews and feedback. Both options are available for online purchase from our website shop. 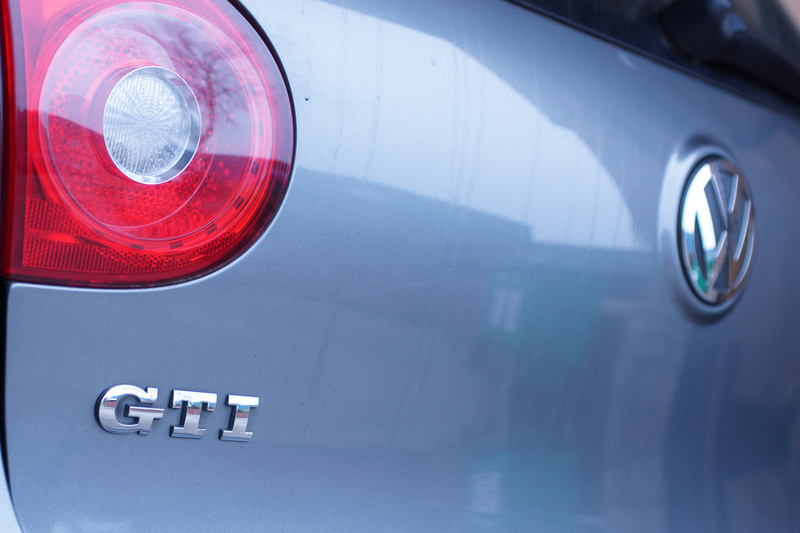 Some people are under the impression that we only modify and tune Vauxhalls, but we do also carry out regular maintenance, servicing and repairs. This modified Astra H VXR was brought to us for a full enhanced service which includes a thorough inspection, an oil and filter change, replacement of the air and pollen filters (or cleaning and re-oiling a high flow panel filter), replacement of the spark plugs with NGK iridiums and a brake fluid change to DOT 5.1 brake fluid. We use OE/OEM filters and high quality Valvoline 5w-40 fully synthetic engine oil. Additionally at the customer’s request, the rocker cover gasket was replaced as it was leaking. We also replaced the oil filler cap seal which was also leaking and allowing oil to escape, which was picked up during inspection. During the inspection it was also noted that the factory hydraulic gearbox mount had failed, which is not uncommom, splitting and leaking all its oil and causing the engine/gearbox to move excessively. The mount was replaced and additionally strengthened with a polyurethane insert to help reduce engine/gearbox movement and reduce the likelihood of the mount failing in the future. 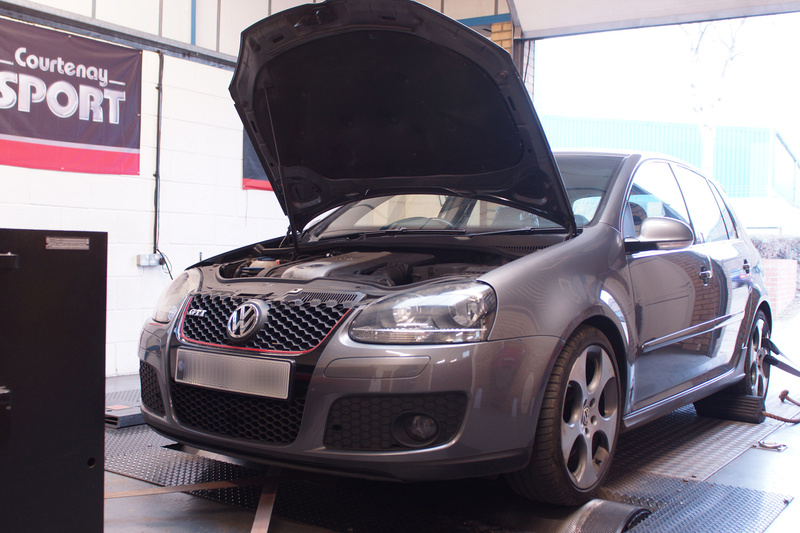 This low mileage VW Golf Mk6 GTi was brought to us for a health and power/torque check on our rolling road. Polyurethane Bushes are available for Vauxhall/Opel Adam models to help stiffen the chassis. Available is Purple Spec material for road use or Black Spec material for track use. The front kit comprises Front Wishbone Front Bushes, Front Wishbone Rear Busehs and Front Anti Roll Bar Bushes at £220.80 (purple) and £250.80 (black) per set. Rear Beam Mounting Bushes are £69 (purple) and £76.80 (black) per pair. Also available is a Rear Lower Engine Mount Insert £21.60 (road) and £24.00 (black). These bushes can be purchased by telephone for mail order and will be available for online purchase soon. This very clean low mileage VX220 2.2 came to us for some pre trackday checks and upgrades prior to its owner getting involved in doing some UK track days. Apart from the obvious fluid changes; oil (5w-40 Fully Synthetic) and filter, brake fluid and gearbox oil (75w-90 Fully Synthetic), the spark plugs were also replaced with NGK platinum plugs. A thorough inspection identified a few other areas that required some work. The rear spring seats/damper collars were corroding quite badly, which is not unusual over time and so were replaced, both side engine mounts had separated and were replaced and an uprated polyurethane insert was fitted to the front engine mount to help reduce engine movement. The header tank had started to crack and degrade, again another quite common issue, so to prevent premature failure on track a new one was fitted. The brakes pads were getting low and so M1155 brakes pads were fitted front and rear as a starting point. Further attention will be paid to the brakes and suspension as the driver finds his ‘track legs’, so to speak. To improve performance the ecu was remapped and a K&N Induction kit fitted. One a rolling road set up was carried out we saw results of 156bhp and 163 lb ft torque. Finally front a rear towing eyes were fitted (essential for trackday use) and a set of Team Dynamics pro Race 1.2 alloy wheels with some trackday tyres finished off the package. This should prove to be a very good and enjoyable track day car. 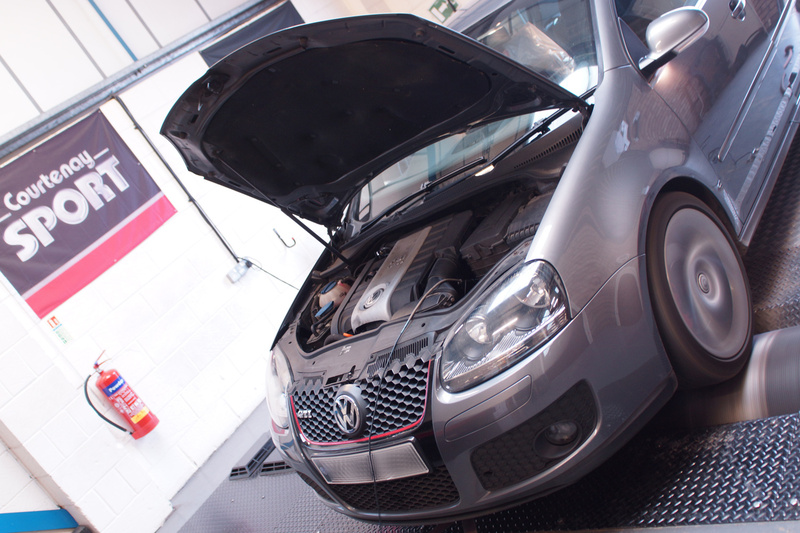 A standard Golf Mk5 GTi brought to us for ECU remapping and rolling road set up achieving 240bhp.